Hitting the High Notes…For Those that say I have one of the worst Jobs. My preparation is always the same. My instrument is so highly polished, that even on a dark day, its gleaming on all sides and angles. A mirror of every visible image. The carrying case is dark and deep black with a bright shiny luster. Most people I pass are curious as to what’s in the case. I casually smile but keep to myself. I take great pride in my music, even if it’s only one tune. I practice for hours and hours. There is absolutely no room for error. There is too much on the line for a single mistake. My shows sometimes have huge crowds, often lately they have been of smaller attendance. I never have complaints or praise. I see it in their eyes or I feel it in the air. Unlike most musicians, I fail to enjoy the yells and screams. There are no groupies, interviews or demands for an autograph. I may occasionally get caught in the background of a picture, but it’s purely by accident. The stage is never adorned with speakers or sound synthesizers. There is no support staff to direct lights or sound boards to adjust music pitch and tones. I tend to keep to a distance and look for a level place under my feet. All of my gigs are during the daytime, sometimes it’s up to the last sun’s rays, brilliant colors of reds, oranges and yellows falling behind the horizon. I play in rain or shine, snow or smothering heat. I truly have faced the elements and defeated them soundly. I am prepared for it all. My instrument can out thunder the dark clouds, my tones can break through the heaviest of rain. Almost like it has a Spirit within itself. Truly it might, it has never let me down. My Song is “Taps”. I play the bugle. My presence announces the loss of a Veteran. My notes welcome another Hero into the gates of Heaven. Me and My instrument cannot and will not fail this final mission. For truly……I have one of the most rewarding jobs. 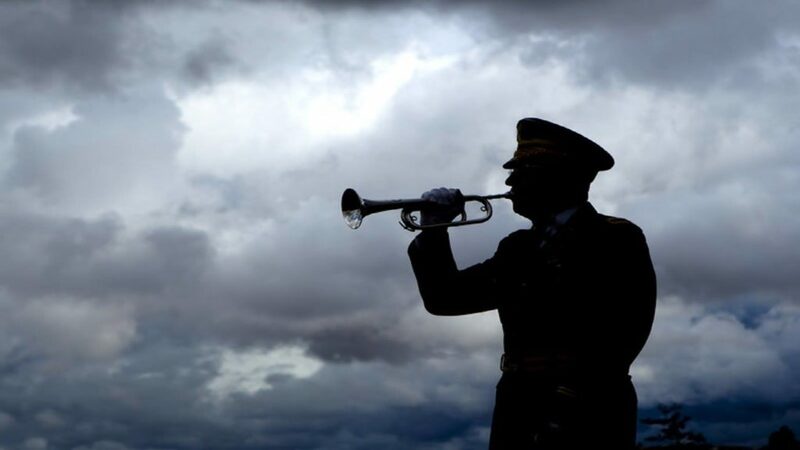 This entry was posted on Sunday, September 2nd, 2018 at 8:10 am	and is filed under Bugle Stories, Buglers Through History, Bugles for Performing and Collecting, General Interest, Getting Started on the Bugle, History of Taps, History of the Bugle, Jari's Articles, News, Taps in Recent History, Taps Performance Guidelines, Uncategorized. You can follow any responses to this entry through the RSS 2.0 feed. You can leave a response, or trackback from your own site. 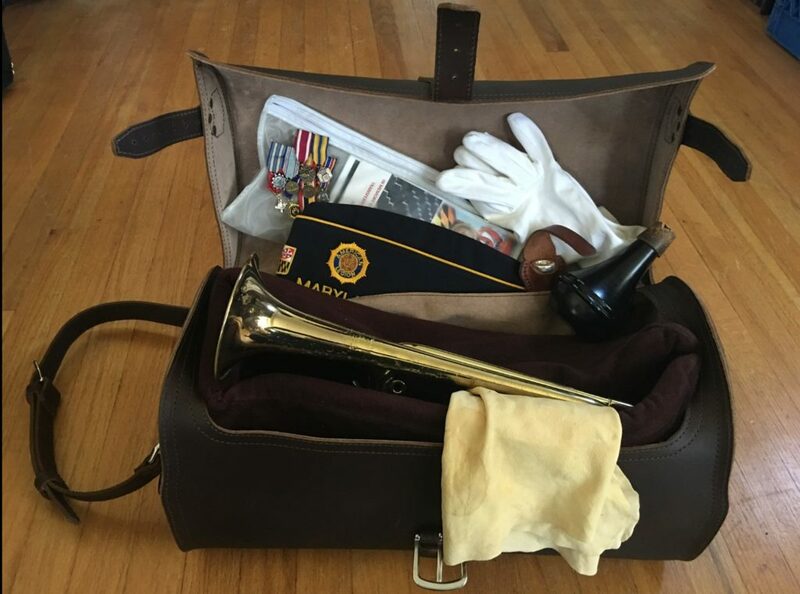 Where did you acquire the carrying case for your bugle?